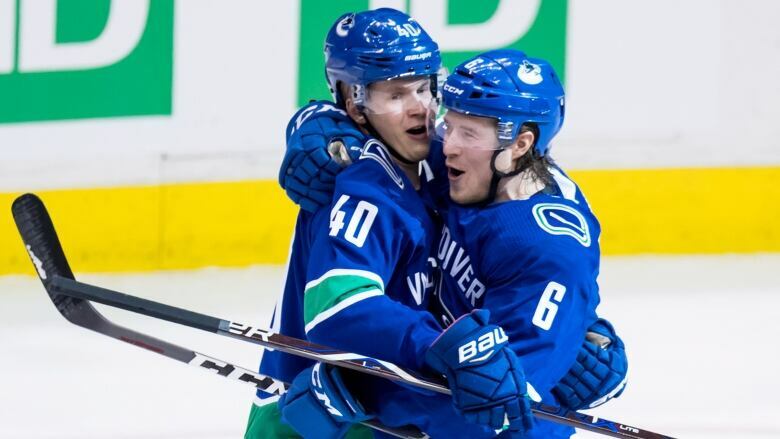 Elias Pettersson scored the shootout winner Saturday, lifting his Vancouver Canucks to a 4-3 win over the Calgary Flames. Canucks goalie Jacob Markstrom stopped 44-of-47 shots and put up three more saves in the shootout. Vancouver Canucks center Bo Horvat credited veteran goalie Jacob Markstrom with Saturday's win over the Calgary Flames. "I think [the Flames] were the better team overall, but Marky played really good and kept us in the game," said Vancouver's star rookie, Elias Pettersson, who had a pair of assists and put away the shootout winner. "Man, [Markstrom] was dialed in tonight. What am I going to say? He was awesome tonight," Canucks coach Travis Green said.